"Curriculum and Standards Are Not the Same," an op-ed carried by McClatchey News Services talks about how George Hall Elementary School is putting Common Core State Standards into action. "High Poverty Schools Are Getting It Done," an article in Educational Leadership, talks about how George Hall went from being one of the lowest-performing schools in Alabama to one of the top-performing. George Hall was also mentioned in "Leaving Nothing to Chance" published in Educational Leadership. 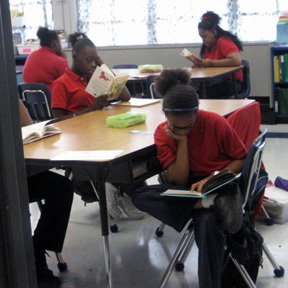 Getting It Done: Leading Academic Success in Unexpected Schools (Harvard Education Press, 2011) features Agnes Terri Tomlinson and Debbie Bolden, principal and former assistant principal of George Hall. Teacher talking about taking responsibility for student performance and always looking to see what more can be done for kids. Teacher discusses knowing where students are at every step of the learning process, finding solutions, and ensuring all students are on the same page before moving on. Principal talks about loving what she does because of the teachers and the staff and the kids. Principal talks about hiring the best and brightest teachers she can find. Teacher talks about the effect high expectations have on students. Teacher discusses how closing the achievement gap simply means do what should be done for every student every day. Teacher talks about how teaching is not just about imparting knowledge, but also building relationships and making learning relevant for kids. Teacher talks about the importance of working as a team and being able to depend on other teachers in order to achieve success in a school. First-grade teachers talk about what makes their teaching team successful. First-grade teachers discuss the high expectations for teachers and students in their school and how to "get it done." First recognized as a Dispelling the Myth school in 2009, George Hall Elementary School continues to be a leader in Alabama. 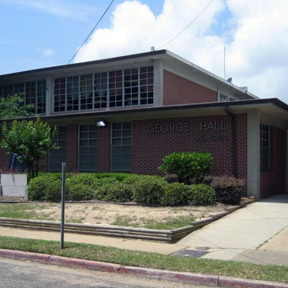 George Hall Elementary School, located in Mobile, was one of the lowest performing schools in the city when the school district reorganized it in 2004. The new principal, Agnes Tomlinson — who had spent her career as a teacher and principal in Mobile — was allowed to replace the staff. With deep roots in the city, she was able to recruit teachers and staff from around Mobile with proven track records who were eager to work for her. Even though very few students — all of whom are African American students from low-income families — were meeting state standards when she arrived, Tomlinson said she was confident that could be changed once the right structures and routines were in place. “I knew achievement wouldn’t be a problem,” she said years later. Within a few years, George Hall became one of the highest performing elementary schools in all of Alabama, with 95 percent or more of its students meeting state standards in reading and mathematics. When measured by the nationally normed SAT-10 assessment (last given in 2011), George Hall’s students performed toward the top of the country, particularly in math. It continues to outperform the state year after year. 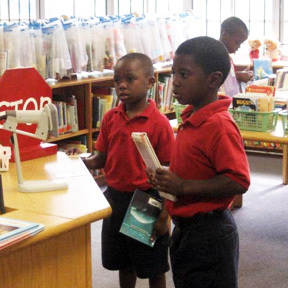 One of the highlights of the year at George Hall is the “literacy fair,” a main focus of instruction in the spring. 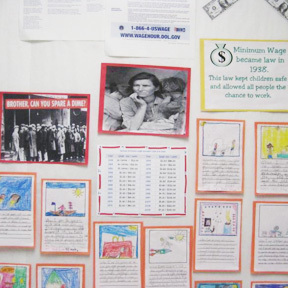 Students write essays, draw murals, and enact plays, inviting family and community members to enjoy student work. Some years the focus is American history, and topics vary from Paul Revere’s ride to the Holocaust; some years the focus is science, and topics range from weather systems to lymphatic systems.